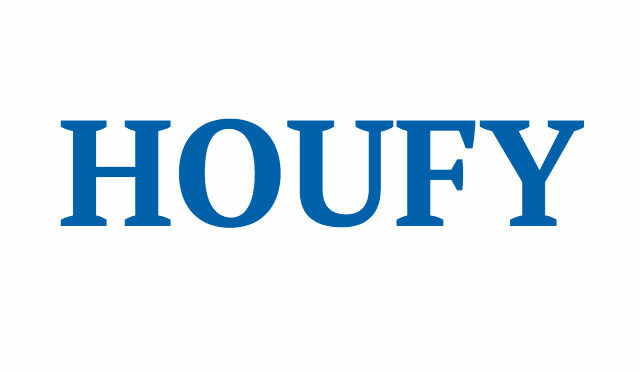 To follow Chris White, please log in to Houfy or create an account. Aikane Kauai is among the small area of homes at Poipu Beach and is ideal for couples, families and small groups. Our home has comfortable, high quality beds and is fully equipped with snorkel gear, boogie boards, beach chairs, free WiFi via high speed cable and lots more. It is also one of the few homes with air conditioned bedrooms (wall mounted a/c). Aikane is Hawaiian for 'friendly' which best describes this delightful beach house. Come see for yourself why our home was selected as a Lonely Planet Editor's Pick. Poipu is known as one of the best beaches for its beauty, lagoon, sunsets, warm people, safety, climate, activities, golf and restaurants. From the shallow sandy lagoon to superb snorkeling in the adjacent bay to body surfing and boogie boarding at Brennecke's Beach. Families are welcome at Aikane Kauai. We understand the creativity and inquisitiveness of children so we provide beach toys, games, dvd's and more so parents can have a relaxing time. Best of all our home is so close to several great beaches, lagoons and huge grassy play areas, you can just put on swim suits and walk to the end of the road and along the coast and you are there. No need to pile into a car and drive. Current key lock box combo will be sent to you prior to arrival. 2 This bedroom can be configured for 2 twins or 1 king. We have special lambs wool center pieces with a sturdy horizontal strap that keeps everything snug a a king size topper. We will have everything set prior to your arrival. 2 covered parking stalls at your front door. We supply full sets of beach and bath towels and many extras. Please let us know if you have any special requests. Aloha! We are the owners and managers of Aikane Kauai. Our philosophy for Aikane Kauai is to provide travelers a clean, well equipped home at a good value that people will want to return to and also recommend to their friends and family. Integrity and friendly professionalism are the foundation. We are members of the Poipu Beach Resort Association and we've advertised for many years on HomeAway, VRBO and TripAdvisor. We live on a small family farm 3 miles inland from Poipu and have spent many years exploring, biking, hiking and kayaking around Kauai. Booking with us gives you an instant connection with someone at your destination who has a personal interest in ​seeing that you get the most out of your vacation - not only in finding a nice place to stay but also current info on where to go and what to see while you're here. Credit cards accepted via PayPal. We provide a statement that may be paid via a guest link or you are welcome to pay be check. We are long time members in the community and Poipu Beach Resort Association members. You can book with us with confidence. Recommended minimum stay is 7 nights. Please inquire about shorter stays. Occupancy: Up to 7 guests. The youngest to oldest and everyone in between are counted as guests. Reservations: Phone or text 808-639-4127 (Kauai) or e-mail to confirm available dates. Courtesy reservations can be held for 48 hours and are not shown on the calendar. Deposit: A $250 refundable damage deposit is required to confirm your reservation. Payment: Due 90 days prior to arrival. Checks, Visa and MasterCard are accepted. Cancellations: Must be in writing by e-mail. Deposits and payments are fully refundable less a $100 cancellation fee + credit card fees if cancellation is made at least 90 days prior to arrival. Cancellation notification within 90 days may result in forfeiture of the rent. There will be no forfeiture if I am able to re-rent to another party for the period affected by the cancellation. Trip insurance is recommended. Check in after 4pm / Check out by 10am. We will accommodate requests for early arrivals and late checkouts whenever possible.